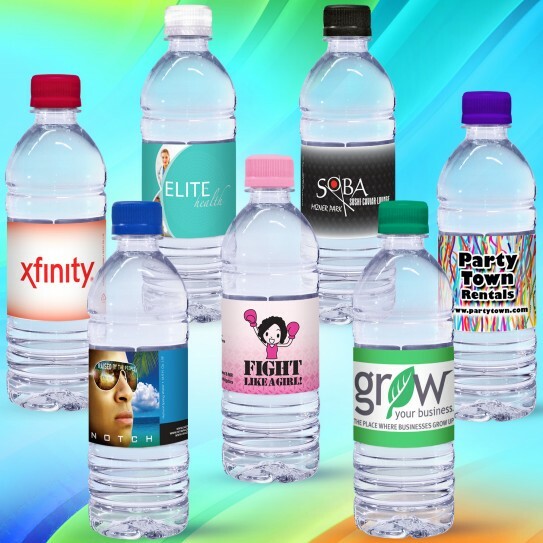 16.9 oz Natural Spring or Purified Water in a clear bottle with custom, full color, full-wrap, waterproof label and flat cap. Recyclable, quality bottles made from heavy gauge PET Type 1 material. Water is monitored and tested for taste and purity. Packed 24 per case - Design your own label - full color.